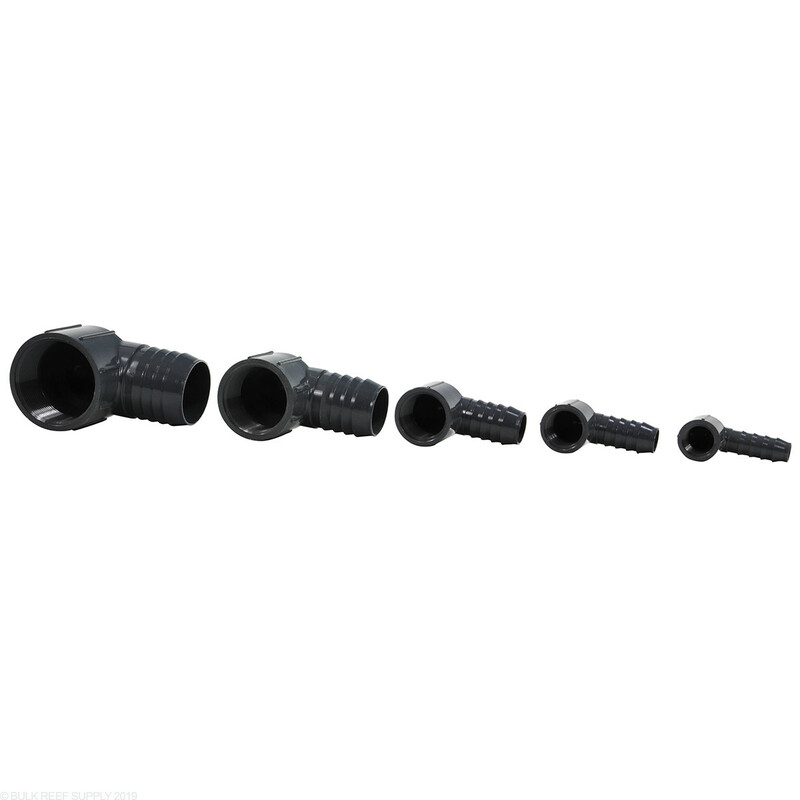 90° Elbow Barb/Insert x Female Thread. 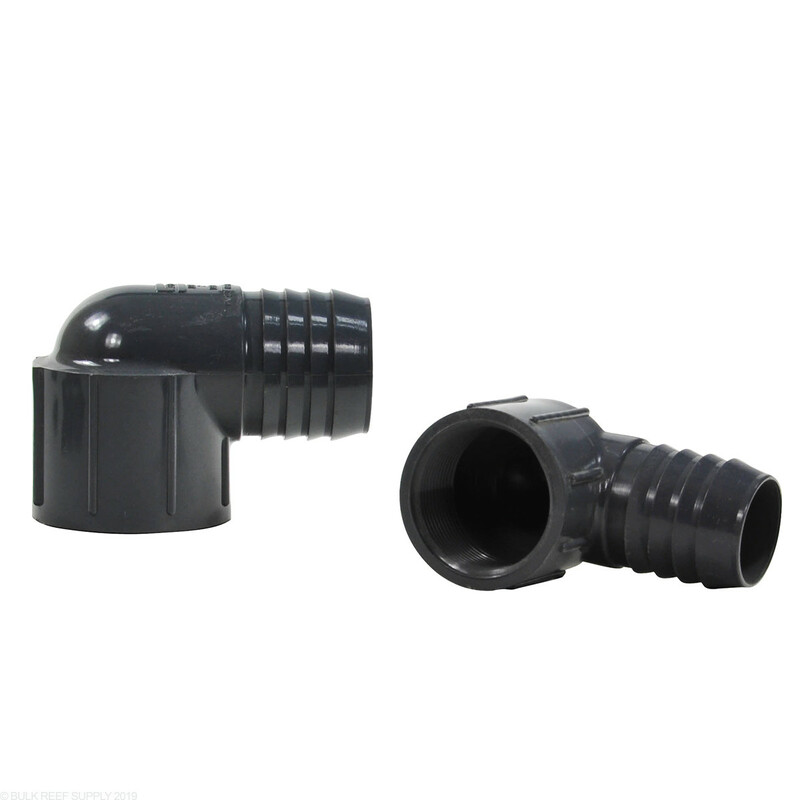 PVC Elbow Insert Fittings for your plumbing needs. 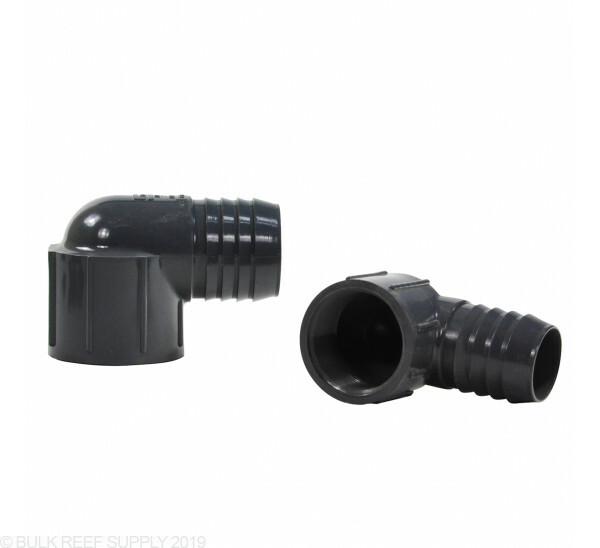 Use Schedule 80 90° Elbow Female Inserts where flexible turns and connections to fittings with male threads are needed. More professional look than white Schedule 40 PVC. Used these to turn my Iwaki External pump sideways underneath the tank. It does add tw extra 90 deg bends, but when space is the driver they worked great for me. 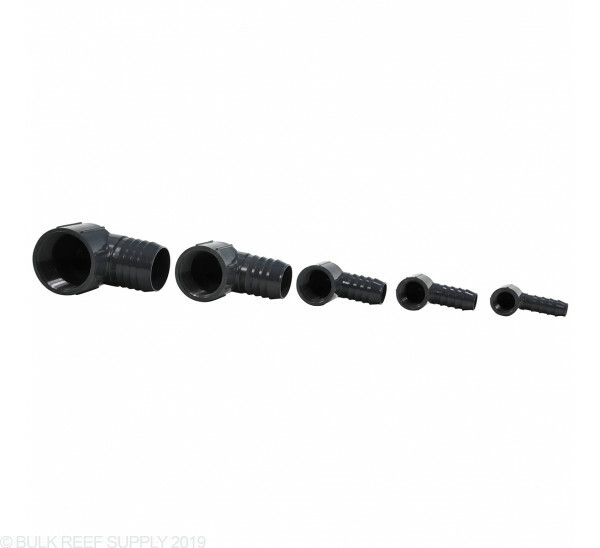 SCH80 fittings are all I use. They are a little heavier, but much more sturdy (and grey vs white) than SCH40.